“Glad I caught the lil’birdies! Milestones has brightened a dreary evening”. Join us this afternoon for some bird box making workshops between 12 and 4pm. Bird Boxes are coming in ready for the exhibition next week. There are lots of exciting little spaces that have been created both in workshops and individually. 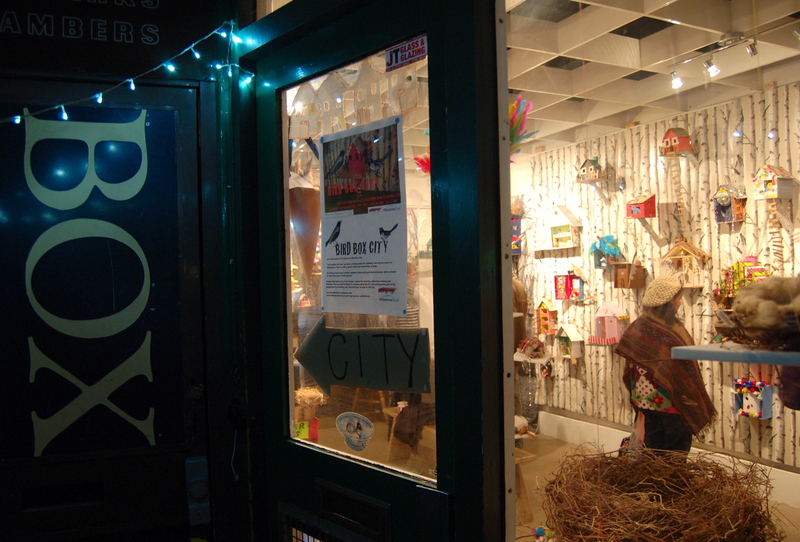 Here are a few pics of work in progress and the beginnings of Bird Box City. Carrie has been running several workshops with us over the last few weeks in which we have created some amazing nests. Each one completely unique and harbouring treasures even a magpie would be jealous of! All the nests including Carrie’s human sized nest will be in the exhibition. As well as some rather exciting birds feet shoes and nesty hats ready to try on. Welcome to Bird Box City! The humble bird box has been a starting point for residents and service users of Milestones Trust as well as guest artists and community groups. 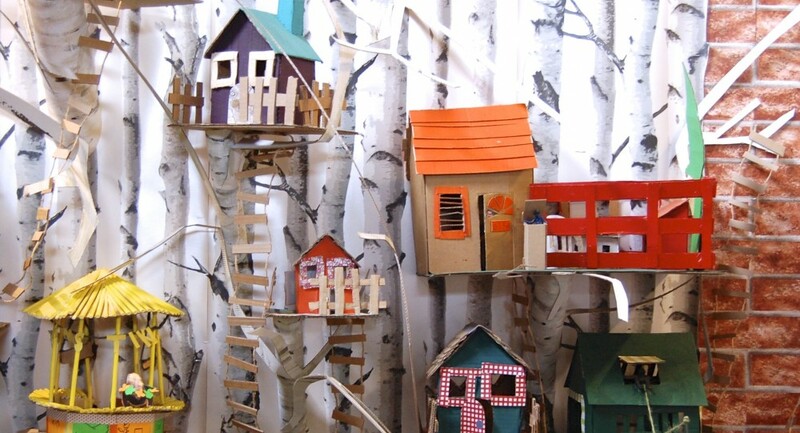 Bird Boxes have been created, adapted, decorated, altered, and deconstructed, with no limits on what this space could become. Expressions is a creative arts group run by Milestones Trust. We give practical support and encouragement to individual artists within the Trust, and provide opportunities for all to participate in and experience the creative arts. This Expressions project has been developed and facilitated by Ali Brown. Participants were interviewed about what their dream home would be, while others preferred to pick a character (e.g. a bird) and answer the questions from the characters points of view. This generated ideas for what each blank bird box could become. You can read some of these interviews in the exhibition. After the ideas were generated we ran workshops for each participant to create and develop their space according to their initial ideas. When thinking of a bird box you can’t help but think of a nest and making a nest. We explored this idea in nest making workshops facilitated by Carrie Love as a part of the project.